Selena Thinking Out Loud With Purpose is so excited to be a part of this $25 Visa Card Giveaway, running, 5 Days Only This Week! 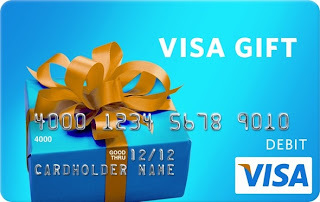 A Visa Gift is a great way to show your appreciation, as a birthday gift, holiday present and since it's Summer, for traveling and shopping safely with family and friends. 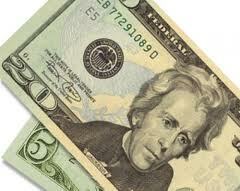 I enjoy bringing my readers opportunities to win great cash prizes and merchandise. Selena Thinking Out Loud With Purpose will be participating in this Back to School Gift Card giveaway event. If you are a blogger and would like to participate, please visit the Sign Up form provided at the link below to submit your blog. Selena Thinking Out Loud With Purpose is bringing you a fabulous bit of fashion with this Coach Signature Tote Giveaway, as we bring in the summer sun. This bag will make any lucky lady feel extra special and ready for a day out with friends. Coach bags are a big hit because they provide elegance and classiness, but with an accentuation on quality. A woman wants to feel confident in her sense of style, while keep with the ever-changing fashion trends and a Coach Signature purse can be added to keep everyone guessing. The details of this particular coach signature tote has been provided for you below. This giveaway runs through July 15, 2013, 11:59PM/EST. Must be 18+ to enter. Open to US and Canada. We are excited to announce that As Mom Sees It, along with an amazing group of bloggers including Selena Thinking Out Loud With Purpose is giving away a gorgeous genuine Coach tote purse, worth $250! 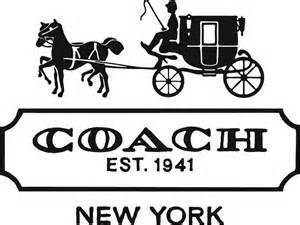 Coach bags are among the most desired handbags, and you could be the lucky winner! To enter this Coach Giveaway, visit the links provided below. Each page below has it's own set of individual entries, each worth 3 points. You can have as many or as few entries as you'd like, but obviously the more entries you have, the better chance you have to win! Disclosure: Selena Thinking Out Loud With Purpose is not responsible for the delivery of prize. The winner will be contacted by the host for delivery details. No compensation was received for the promotion of this giveaway event. Facebook, Twitter, and Pinterest are not affiliated with this giveaway in any way. No purchase necessary. Selena Thinking Out Loud With Purpose joined the BzzAgent Community! This is a great opportunity because it gives you a chance to join different product campaigns and review how well you liked or disliked them, while creating buzz. How many times have you used a product and just had to tell your friends and family about it? That's exactly what the community of BzzAgents do. The company is passionate about getting your genuine opinion on brands, which in return helps the brands learn how their product is received by regular consumers. To become a BzzAgent is pretty simple. 1. Visit their official website at BuzzAgent.com. 3. Complete short surveys so they can invite you to join product campaigns that will suit you best. 3. Increase your BzzScore, which will get you more campaigns to join by adding your social networking sites so they can see how popular you are among your peers. You can add your Facebook, Twitter, Mypoints account, and Grocery Store Club card info. I had the opportunity to review a Dr. Scholl's product, which came in the mail a couple of days ago. In the video below I give you a detailed, inside look, into how I honestly felt about the product. Dr. Scholl's For Her High Hell Insoles are proven to improve the way you feel in heels! They provide all day comfort in your high heels 2" or higher. I wore the Dr. Scholl's For Her High Heel Insoles in a pair of my high heel shoes to go get food for my cats and to do some market shopping. I did a lot of walking and really got the chance to see how these insoles felt on my feet. I did like the arch support and they have added protection for the balls of your feet. However, the comfort-ability of the insoles, for me, wasn't that great. After walking so much and going about my regular business, I felt the pressure on my feet with the insoles in my shoes and wanted to go home and slip into my booty socks. I like what Dr. Scholl's is trying to do with the insoles, but I guess for me, "this lady is still in the line of women who have to bare the discomfort that comes with looking fabulous in high heels. BUT, what do you think? Share your experiences with using Dr. Scholl's For Her High Heel Insoles in a comment below! If you haven't tried them in your high heels for yourself, enter the Coupon Giveaway below for 8 Winners! I was given 8 Coupons in my package to share with others about Dr. Scholl's For Her High Heel Insoles. Please use the Rafflecopter Entry Form to enter this coupon giveaway. No purchase necessary. The winners will be drawn randomly using the rafflecopter. Each winner will be contacted by Selena Thinking Out Loud With Purpose for mailing information for coupon delivery. Easy Entry! Good Luck! Disclosure: Selena Thinking Out Loud With Purpose is a BzzAgent and all views in this post are 100% my own. The reviewed product was provided by BzzAgent on behalf of Dr. Scholl's and 8 coupons. Affiliate links may be present within this post for the companies mentioned therein. No purchase necessary for the coupon giveaway. All winners will be contacted directly by Selena Thinking Out Loud With Purpose for mailing details for delivery of prize. No entrant's information is used in any other way, but in the following giveaway event. This giveaway is for US residents only. CONGRATULATIONS to the Selena Thinking Out Loud With Purpose, Jack the Giant Slayer Blu-ray + DVD + Ultraviolet Combo Pack, Winner! The winner has been posted on the Rafflecopter Entry Form below and has been verified. In Jack the Giant Slayer, unleashed on the Earth for the first time in centuries, the giants strive to reclaim the land they once lost, forcing Jack (Nicholas Hoult), into the battle of his life to stop them. Fighting for a kingdom and its people, and the love of a brave princess, he comes face to face with the unstoppable warriors he thought only existed in legend... and gets the chance to become a legend himself! Directed by Brian Singer (X-Men, Superman Returns) Starring: Nicholas Hoult (About a Boy), Ewan McGregor (Star Wars, Moulin Rouge! ), and Stanley Tucci (The Lovely Bones). The question is...are you courageous enough to rescue the princess? Are you brave like Jack? Take the quiz to find out! Jack The Giant SlayerBlog App! Celebrate this classic story with NEW content exclusive to the Jack The Giant SlayerBlog App! • Control the Action! - Move your mouse across the GIFS and take control of action-packed scenes from Jack the Giant Slayer. YOU ARE IN CONTROL OF THE ACTION! • How Brave Are You? QUIZ - Are you brave like Jack? Do beanstalks and "giant" challenges make you afraid or courageous? Take the quiz to find out! • Giant Soundboard - Jack the Giant Slayer is filled with epic giant stomps, sword slashes and thunderous sounds! Play with official sound effects from the movie and compose your own "giant hit song"! • Tweet with the #JackTheGiantSlayer hashtag to share the good news about the DVD & Blu-ray release today, June 18th, available in stores! Prize: One (1) reader will receive the Jack the Giant Slayer Combo Pack, which includes: Blu-ray + DVD + Ultraviolet. How To Enter: Please use the Rafflecopter Entry Form provided below to submit your entries. Good Luck! Disclaimer: The prize will be sent via FedEx or UPS. No P.O. Boxes please. Selena Thinking Out Loud With Purpose will contact the winner for prize shipment from the host of this giveaway promtion. This was delivered to me in promotion of the Warner Bros. DVD and Blu-ray release of the Jack the Giant Slayer. Any actions (including contest and competitions) that you complete with the provided assets are your liability, and should comply with both local and international laws. This blog is working with Walden Family Theater. No Purchase Necessary. Selena Thinking Out Loud With Purpose is delighted to bring you another very special baby giveaway focused on the moms. Breastfeeding has been known to have many beneficial health and cognitive benefits for your baby. Many moms are now looking to give breastfeeding a try. I know that my sister was not going to breast feed, while she was carrying my neice, Asiah, but soon changed her mind after giving birth. It became instinctual for her. Although, she didn't have much trouble, eventually, making enough milk for her new baby, some moms do. Two amazing woman, who have made their living as twin actresses, and I know from their time on the show, Sister, Sister, Tia and Tamera Mowry, have developed a solution for so many women. Need is a brand founded by the fabulous TV stars and new moms, Tia and Tamera Mowry. This product was created out of the passion for new moms who want all natural, quality products for themselves and their babies. NEED products are never tested on animals - and are 100% vegan - created by nature not chemicals. Watch the Youtube video below to learn more about their story! Once Tia experienced a low volume of breast milk after only three months of breastfeeding, she teamed up with her sister to develop not only a solution for her lactating problem, but to also create a product that was equally healthy. After tons of research, the Sister Team created Milky! - a tasty, healthy and affordable herbal tea supplement that increases breast milk production. Milky! contains all organic ingredients and some of the highest quality herbs from around the world, including Fenugreek Seed, Ginger Root and Chamomile Flower Extract. All of their products are taken through rigorous quality control testing to ensure that the product is at it's highest quality before being sold to the general public. Each Milky! comes in a 2.5 oz bottle which makes it very easy to grab it when you're on the go. Each box contains 12 bottles and you can purchase up to a 90 day supply, in which you will receive a nice discount. Phyllis LaPelusa Neshimka ~ I love love love Milky !!!! Taste awesome compared to other products....Well done ladies thank you! Takisha Henry ~ I LOVE MILKY!!!!!!!!!!!!!!!! I wasn't making milk at all! not even a drop. I was so upset that I couldn't make milk for my daughter. I tried mother of milk tea, I took fenugreek pills NOTHING WORKED!!! After the first bottle of MILKY! I made milk within 6 hours I couldn't believe it. I only had a six day supply I ordered more today. Honestly best product I have ever tried I didn't expect such amazing results I am so thankful that you guys made this. Dinesha Grant ~ Milky is so yummy! I didn't expect it to taste so good. Shahidah J Kane ~ I love it. I have to stock up. But it doesn't end there - Need is definitely on the move!!! They are currently in the process of launching other products geared towards mommies, babies and healthy living. To learn more, you can visit their website at www.needbrands.com. If you're a new mom who is having problems lactating or simply just want to promote faster let-down, Milky! will be a great option for you! Simply drink one bottle twice a day and you'll see results in no time! Because we love Milky! SO MUCH and of course the gorgeous dynamic duo, we have partnered with Need to offer a special discount and sponsored giveaway!! Whoo Hoo! We're giving away (1) 12 pack box of Milky! to one (1) lucky winner!! ADDED BONUS: If you order 2 boxes of Milky!, you can get a 10% discount ~ just use the code OHSNAP when checking out! 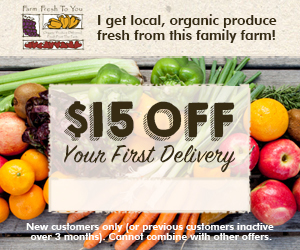 This discount will be expiring soon... to purchase Milky! online, you can just click here. Please use the rafflecopter entry form provided below. Disclosure: Oh Snap! Giveaways and Reviews was not compensated for this post, however, it may contain affiliate links. All opinions that are provided are true and unbiased. Selena Thinking Out Loud With Purpose and other bloggers, participating in this promotion, are not responsible for the shipping of the prize. Our promotions are no way sponsored, endorsed, or administered by, or associated with Facebook, Twitter, Pinterest or any other Social Media Network. Shipment of prize will be sent to the winner by the listed sponsor upon email confirmation, unless otherwise noted. If you have any additional questions, would like to view more giveaways and/or would like for us to sponsor a giveaway for you, please contact us at www.ohsnapgiveaways.com. Selena Thinking Out Loud With Purpose will be joining a classy group of bloggers to bring readers this Coach Kyra Signature Tote Giveaway later this month. But, for now, the host is inviting bloggers to sign up for the event until the deadline of June 18, 2013. There is a Free link Option with an announcement post, sharing this event. No announcement, you pay $5.00 to host via PayPal. You can also cohost or host a page. Please see all of the details and Sign Up your blog before the deadline at the link provided below. **Make sure to mention that http://blog.selenabrown.com referred you, at the bottom of the Sign up form. As you know I am also an indie filmmaker and will be working on my next short film project. The short film is called, How I Met The Neighbors, a film about one woman who moves into a new apartment, just to encounter an unexpected run-in with her neighbors. To express my gratitude and opportunity to do this project, I am having a MONTHLY $25 PayPal Cash or Amazon Gift Code Giveaway! The giveaway will run through June 28, 2013, 11: 59PM/EST. You must be at least 18 years old and up to enter. 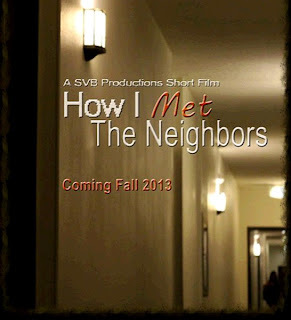 Please visit the official movie page for the How I Met The Neighbors and make sure to use the Rafflecopter Entry Form provided. The Rafflecopter will restart every month through September 2013, so make sure to stop by each month to enter again. 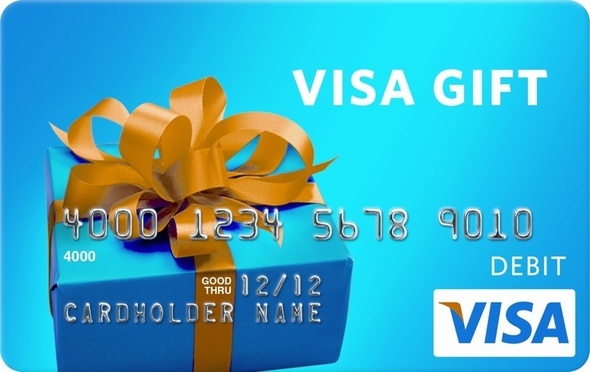 Selena Thinking Out Loud With Purpose brings you this $200 Visa Gift Card Giveaway! It's always fun to be able to provide cash giveaways for my readers. All of the details for this event and the amazing hosts and cohosts can be found below. I'm so excited for this giveaway and its success and hope that one of you is the lucky winner! Good Luck to You! This giveaway will run June 3 through June 28, 2013. Open to US Residents Only. Must be 18 years old and up to enter. Please enter this giveaway by using the Rafflecopter Entry Form below. All entries are optional. Disclosure: Selena Thinking Out Loud With Purpose is not responsible for prize. If you have any questions about this giveaway please send an email to nysavingspecials@gmail.com. All entries are optional, if you do any of the tasks you can collect the entries, even if you do one entry you can get the extra 1 entries but if the winner tasks is a tasks you did not complete, a second winner will be chosen. If the winner tasks is the one you did you will be the winner. Selena Thinking Out Loud With Purpose has teamed up with some other amazing bloggers to bring you this Cal Spas Hot Tub and Char Broil Grill Summer Giveaway! Now, that is what summer is all about...RELAXING, FOOD and FUN! With these prizes two lucky readers will have one or the other to celebrate, with family and friends. A special thanks goes out to the sponsors and their fabulous products. It's very easy to enter this giveaway event, just complete the entry form at the bottom of this post and Good Luck to You! This event will run from June 1st - 30th, 2013. US and Canada Only. You must be at least 18+ to enter this giveaway. 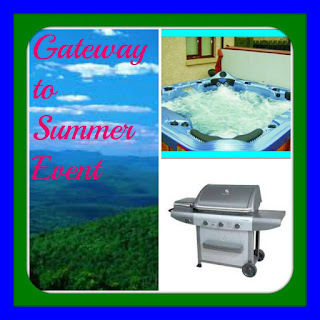 Welcome to the Gateway to Summer Event! Co-hosted by Tiny Tidbits of a NC Diva, Chronically Content, My Style Spot, and Sea of Savings. Open to residents of the U.S. & Canada age 18+. Giveaway will begin June 1st 2013, and end June 30th, 2013. All taxes and fees are the responsibility of the winner. Winner will be chosen via Random.org on or before July 5th, 2013 and notified via email. All prizes are shipped from the sponsor(s). No Purchase necessary to win. Prizes: CalSpas Hot Tub- Prize includes hot tub only. Winner is responsible for anything extra that is necessary to set it up, ie: location, plumbing, housing, or deck for the tub and complete care of the hot tub once it is delivered. Grill- Winner is responsible for purchasing fuel for the grill, it does not come with fuel. Winners will be selected from all entries submitted and verified. Void where prohibited by law. Blog Disclaimer: Selena Thinking Out Loud With Purpose is a promoter of this event ONLY. Prizes will be coordinated in this giveaway event by the host, with the vendors. Please read official rules for prize details, shipment and selection of winner. Follow the instructions on the Giveaway Tool below and Good Luck!